Naruto manga author Masashi Kishimoto strive to write a series where the hero didn't always win every battle with fists, but with his words instead. But how successful was the series in sticking to this philosophy? In a 2014 interview conducted by The Asahi Shimbun, manga creator Masashi Kishimoto discussed his humble beginnings and thought process regarding his worldwide hit, Naruto, for the series' closure. He talked about how much of Naruto Uzumaki's life was inspired by Kishimoto's childhood insecurities, as well as his own love for ramen. However, one noteworthy quote from the interview was Kishimoto's reflection on the battles featured in the manga. As a Shonen Jump series, Naruto typically featured imaginative 1:1 battles among its ninja cast, during its 15-year run. However, what set the manga apart from other boy-oriented series was its philosophy of empathy and redemption for its villains. For a genre that's regularly driven by action, ending a fight scene in a boys comic with dialogue was nearly taboo. 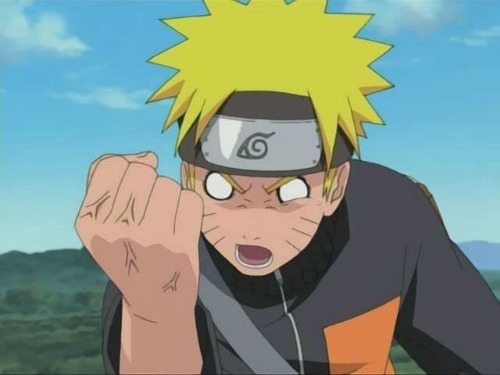 Considering Kishimoto's words, let's look back at some of the most memorable Naruto battles and how it applied his ideology. What's a better place to start than the very first mission Naruto and his ninja comrades, Sakura, Sasuke, and instructor Kakashi, embarked on as Team 7. Falsely classified as a C- rank mission, Team 7 was assigned an upper-rank mission to protect the bridge-building efforts in the Land of Waves from any attack orchestrated by Gatou - a shipping magnate who wanted the bridge destroyed. The task led to a deadly confrontation between Zabuza, an assassin-for-hire, and Haku, a masked shinobi with the unique power to surround his victims with icy mirrors, allowing him to travel between and attack at any angle. Naruto and Sasuke were unfortunate enough to be trapped by Haku's ability and when it looked like Naruto was about to be killed by Haku's needles, Sasuke stepped in and took the blow. Following Sasuke's sacrifice, Naruto awakened the demonic Nine-Tails fox power inside him and ferociously assaulted Haku. Before the final blow was struck, Haku's mask fell apart and revealed himself as the seemingly kind-hearted person Naruto met earlier. When Naruto demanded an explanation, Haku revealed his tragic orphan past that mirrored Naruto's. Haku later sacrificed himself to protect his partner Zabuza from Kakashi's killer attack. Afterword, Gatou and his men arrived to kill Team 7 and the badly wounded Zabuza－who he hired, but was intimidated by. Normally you would expect Naruto to be the one that saved the day－especially since he had just awakened an incredibly new power. However, it wasn't brute strength that saved the Land of Waves, but his verbal confrontation with Zabuza; questioning his cold demeanor towards the deceased Haku. Naruto's words caused Zabuza to realize how meaningful Haku was to him and finally mourned his death. 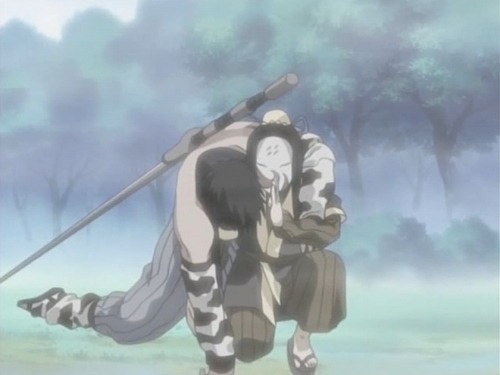 With his final ounce of strength, Zabuza eliminated Gatou and died alongside Haku. Haku wasn't the only opponent who would embody the dark path could have Naruto took in his life, based on his harsh childhood. During the Chuunin Exams, an examination meant to rank up the young students of the Village Hidden in the Leaves, a sand-manipulation shinobi named Gaara shook Naruto's world. 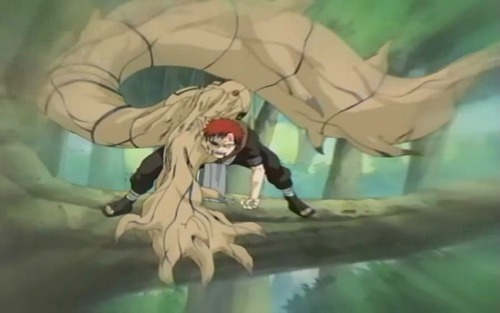 He threatened to kill Sakura and eventually destroy the village with his Shukaku－a sand-like deamon sealed inside Gaara, similar to the Nine-Tails fox inside Naruto. And like Naruto, Gaara shared the same shunned past because of the beast within. Without any friends to provide him love or sympathy, Gaara developed into a powerful sociopath. With the aid of the Summoning Jutsu and the fox powers inside him, Naruto was able to take down Gaara in his Shukaku form. 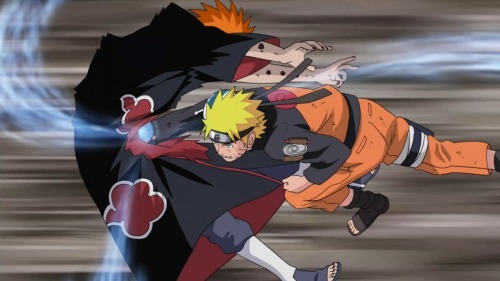 Determined to free Sakura from Gaara's deadly sand clutches, Naruto dragged his weakened body to his beaten-up rival, in order to finish the fight. However, Sasuke informed Naruto that Sakura was already free. Learning this, Naruto allowed himself to pass out from exhaustion, but not before telling Gaara that he shared his pain and how lucky he was to find comrades that cared for him. Inspired by Naruto's words and unbroken determination to be the best, Gaara reassessed his awful life. Gaara eventually became the Hokage of his village and proved to be a reliable ally for Naruto and his friends. These listed events only scratch the surface of what the Naruto series accomplished in its goal to win over villains with words of compassion. It not only continued in the original series, but in the anime sequel called Naruto Shippuden. As mentioned by Kishimoto in The Asahi Shimbun interview and recently reiterated in Entertainment Weekly, the storyline featuring Pain, the Akatsuki leader who vowed to bring peace to the violent shinobi world by any means necessary, captured the essence of the series. "It was very important for me to show Naruto is capable of forgiving anyone, even his enemy," Kishimoto told Entertainment Weekly. "I wanted Naruto to convince Pain verbally, that Pain should change his ways and they could reconcile." And Naruto did by explaining to Pain that despite the terrible things he did to him and his village, he wouldn't kill him, as it would only inspire someone to continue the cycle of revenge. Naruto's words of wisdom may not have resulted in brutal combat, but it did lead to successful reformation and motivating his friends and enemies to live better lives. A quality needed to become the respected Hokage Naruto always dreamed of being.